Today fashion designers constantly create something interesting and unique so we always have a big choice of trendy clothes and accessory ideas. If you wanna add fur to your looks but don’t wanna a womens fur coat or jacket, pay your attention to simple coats with fur decor elements. 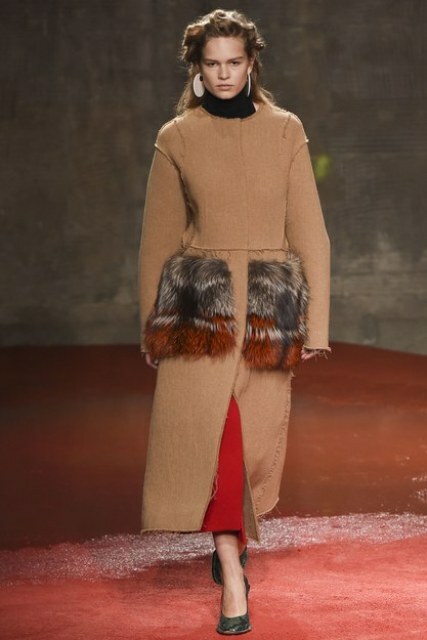 One of the most original ideas for this winter is a coat with fur pockets. It looks very adorable and cozy and ideally matches with almost all pieces of clothes (skirts, jeans, trousers, dresses, etc.). We’ve collected some cool outfits that you can use as an example how you can wear fur pocket coats. For those who like casual style, this type of coats is a brilliant idea! You can pair it with jeans (crop, distressed, cuffed, etc. ), a simple neutral shirt or a turtleneck and colored sneakers or heeled ankle boots. For these looks you can choose a pastel or bright color coat with printed or contrasting color faux fur pockets for making your look more eye-catching. 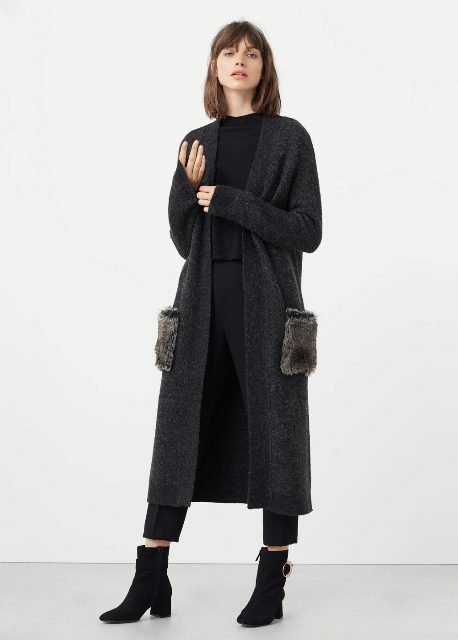 For official outfits choose a gray or beige coat with the same color fur pockets and combine it with skinny or straight trousers, a white or any simple color blouse, shoes and a big bag or clutch. Do you like to wear culottes? If yes, try to mix them with midi coat and mid calf boots. Many fashionable girls choose mini coats with big fur pockets and combine them with mini or midi skirts and dresses. How about this idea? Preparing for an event? 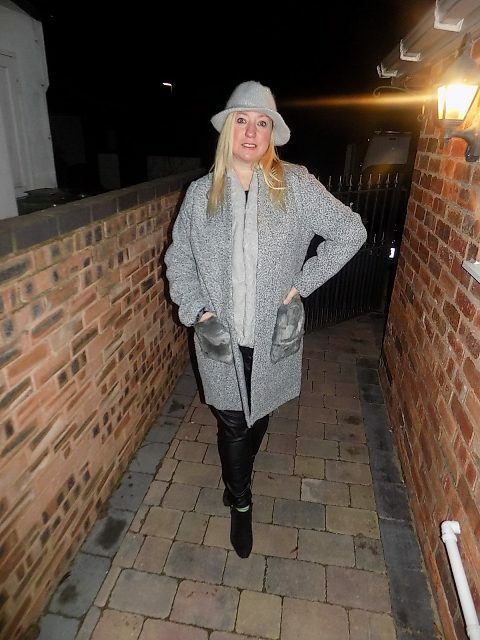 You can look fabulous and chic wearing a white mini coat with white pockets and a black midi skirt or dress. You don’t even need any accessories! For casual but feminine outfits pick up a knee-length or mini skirt, a neutral shirt, heels and a leather bag and mix them with a midi women’s wool coat.